If you own a dehydrator, drying these nuts in your own house can be a breeze. You just have to do simple preparations, add the nuts in the dehydrator and then dry them for the required time to get the kind of texture and taste you’re looking for. In this article, we are going to take a look at the method of dehydrating pecan nuts, things you should take care of and the storage of pecan nuts for later use. 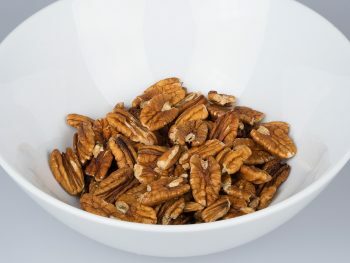 There are certain things you need to follow when it comes dehydrating pecan nuts. Here is the process lined up in easy to understand steps. Soaking the nuts is an important part of the process as it activates the enzymes and makes the nuts easy to digest for the body (3). Use a salt water solution that is 1/2 teaspoons salt for every cup of pecan nuts you’re using. Soak the nuts in the warm filtered salt solution overnight. 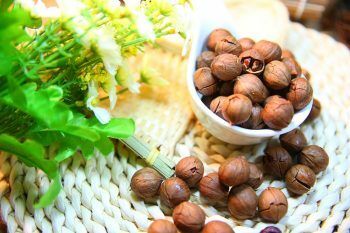 This will help in activation of the nuts and make them easy for digestion in the body. Put the nuts on a dehydrator tray and place in the dehydrator. Make sure there is ample space between the nuts and they’re not touching each other. Set the dehydrator at 115 degrees F and drying time for at least 6 hours. After six hours, check the nuts to see if they’re completely dry. If you take them out of the dehydrator before they’re dried out, they might mold or not have the crunchy texture you’re looking for. Don’t take out the hot pecan nut out of the dehydrator before they’re properly cooled down. Check the nuts even then and if they’re not dried out properly, let them dehydrator for a little more time. While drying pecan nuts is easy, there are certain things you need to keep in mind so that you can dehydrate them properly. Here are the things you need to take care of while drying pecan nuts. Choose your pecan nuts with care. Look for pecans that are uniform in size and color. Make sure the nuts you’re getting are fresh and there is no mold or fungus on them. Clean the nuts properly once you get them and select the best of the batch for drying. Check the nuts through the dehydration process to see if they’re properly crispy and dry. Make sure you have the appropriate utensils for soaking the nuts and later storing them. Whether you want to consume your dehydrated pecan nuts quickly or you want to store them for later use. It’s important that you use proper m﻿﻿ethods and caution for storage as improper storage can lead to mold and fungus in the nuts. Here are some ways in which you can best store the dehydrated pecan nuts. Use airtight containers that have been cleaned and dried properly so that there is no trace of moisture in the containers. If you plan to consume the nuts in a week or a month, you can store the airtight jars in your pantry. If you plan to consume the nuts in three to six months, it’s best if you store the airtight jars in the fridge. Pecan nuts have immense health benefits. These nuts are rich in monosaturated oils (1) and have over 70% fat content. The flavor of these nuts is rich and buttery that makes them ideal for use in both sweet as well as savory dishes. Here are some of the health benefits of pecan nuts. Adding nuts to your diet can keep you full for a longer time and keep you from feeling hungry. Eating nuts also increases the metabolism so that you can digest your food at a better rate. Nuts have shown to have a positive impact on the overall cardiovascular health as well. Oleic acid and phenolic antioxidants present in pecan nuts can aid in reducing the risk of coronary artery disease and strokes. Pecan nuts are a rich source of magnesium that is known for its anti-inflammatory properties. Consuming pecan nuts as a part of your diet might help in reducing the risk of different types of inflammatory disorders. Manganese is essential for nerve conduction and brain function. Pecan nuts are a great source of manganese and regular intake can help in boosting the overall immunity in the body. Consuming pecan nuts can be really beneficial for improving the hair and skin complexion as these contain Vitamin E, Vitamin A, Zinc, folate and phosphorous. People who are interested in dehydrating pecan nuts often have questions regarding these nuts. Here are some of the questions and queries about drying pecan nuts. Q1) Do I really need to soak the nuts in salt water? Ans. Yes. It’s an important step before drying the nuts in the dehydrator. The salt water acts as an activating agent for the pecan nuts and soaking them overnight ensures they will be easily digested by the body. The nuts also get a more crunchy flavor once they’ve been soaked in the salt water for some time. Q2) How long should I soak the pecan nuts in salt water? Ans. You can soak them overnight to get full activation of the pecan nuts. If you’re not able to use the nuts for this time, make sure you change the water so that the nuts do not develop mold or fungus. Q3) I have chopped up some pecans, can I dehydrate these? Ans. It is best not to dehydrate chopped up pecans as these are high in oil content and might catch fire in the dehydrator if these are chopped up. It’s best to use whole and shelled pecan nuts. Q4) Do I need to rotate the trays when drying nuts? Ans. It totally depends on the model of dehydrator you are using. If you have an Excalibur dehydrator that comes with fan at the back, you don’t need to rotate the trays. But if you’re using a circular dehydrator with the fan at the bottom or top, you might need to rotate the trays to get the full effect of the heat. Dehydrating pecan nuts is a great way to store them for later usage. Pecan nuts are great for health and these can be used in a large range of dishes. You can also consume pecan nuts as part of your regular diet. Dehydrating pecan nuts is also very easy. There is no complex preparation involved, just make sure you are working with the best quality nuts and dehydrating them in a clean and sanitized environment. During dehydration, make sure the nuts are dried properly and there is no moisture in the nuts as any presence of moisture can lead to mold or fungus in a week or two of storage. 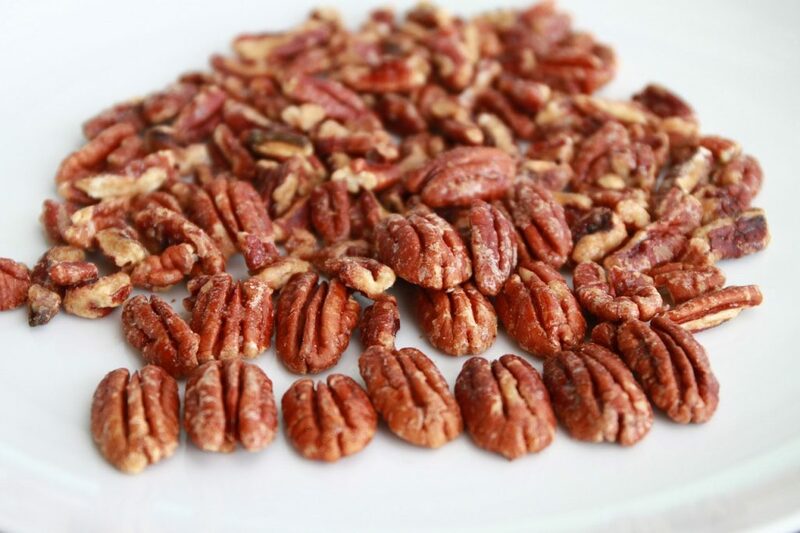 We hope this article has been helpful in informing you how to dehydrate pecan nuts. Once you have your batch of nuts, you can use these in a wide range of recipes, everything from cakes to cookies, and shakes and much more. For more information about drying foods and using dehydrators, please browse through the website. In case you have any questions or queries regarding dehydrators or dehydrated food, please leave a comment. Have fun dehydrating! How Long To Dehydrate Strawberries?